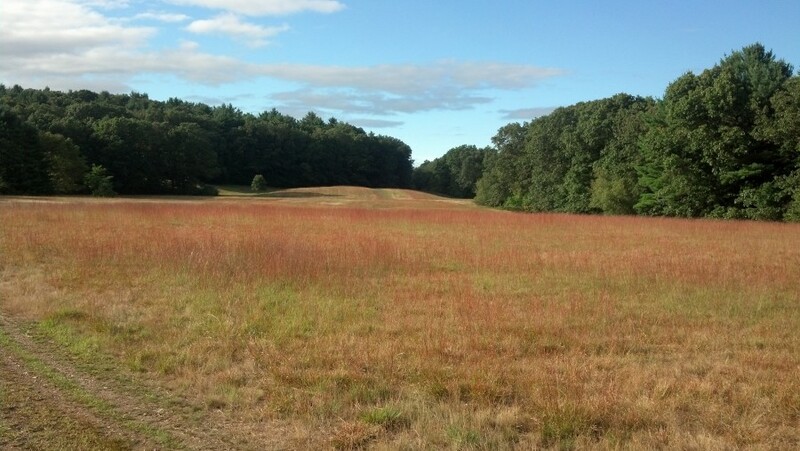 The Discover Hamilton Trail (DHT) is an 8-mile loop trail that passes through Harvard Forest, DCR’s Bradley Palmer State Park, The Trustees of Reservations’ Appleton Farms Grass Rides and Greenbelt’s Pingree Reservation. 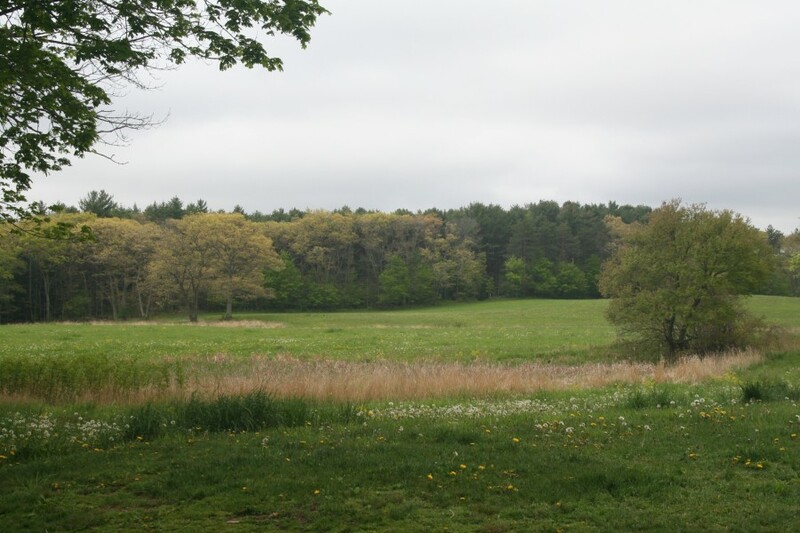 If accessed by parking at Patton Park and proceeding through the Myopia Schooling Field, this leg adds 1.2 miles (2.4 total) to the 8-mile loop. 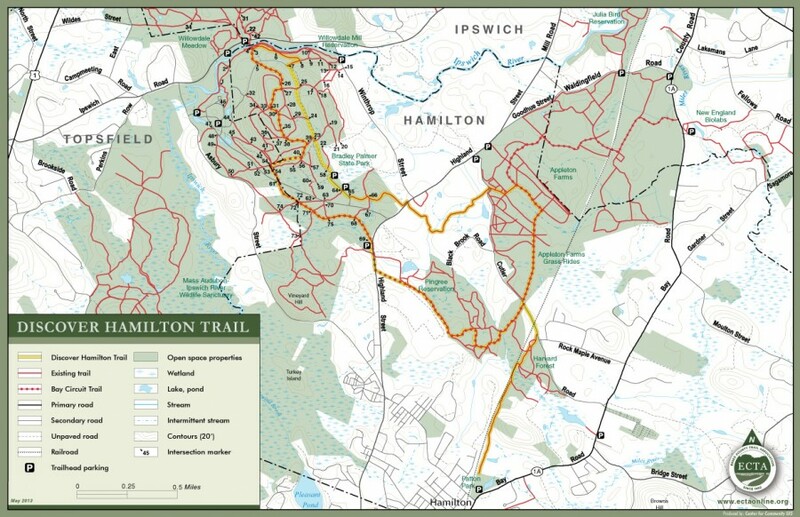 Click here to download a higher resolution pdf version of the Discover Hamilton Trail map. 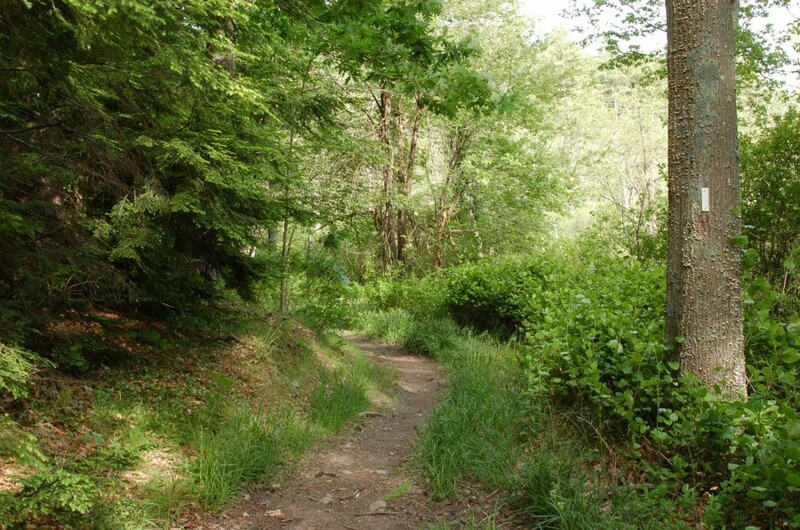 The Discover Hamilton Trail passes through several public and private properties. Please be respectful of all landowners.